Theoretically, babies can already see when they are still in the womb. However, in contrast to auditory perception, sight is the least developed sense. 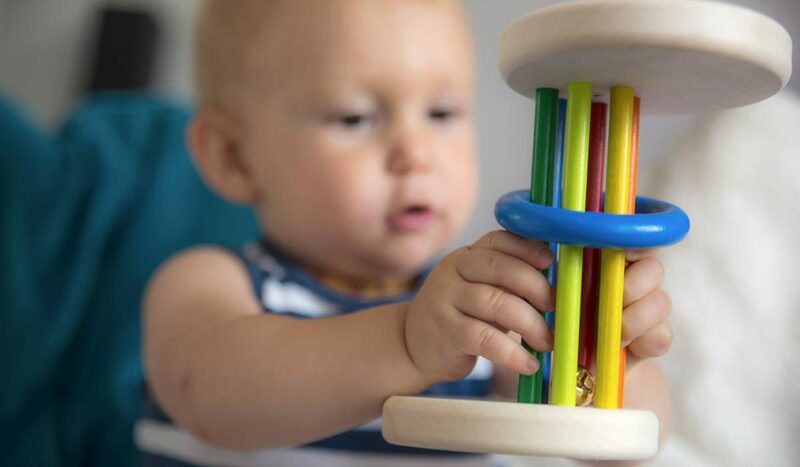 We explain how a baby’s ability to see evolves in the first months and which toys are appropriate. When new-born babies first see the “light of the day”, they initially see everything out of focus and are practically as blind as a bat. The sense of sight, sharp-sightedness and the ability to distinguish different colours develop only little by little. Shortly after they are born, babies can focus at a distance of up to about 20 cm. Strong contrasts such as black and white attract their attention. But they cannot yet recognise the difference between colours and shades. The development of the sense of sight is a complex and also demanding process. The eye muscles have to be trained, because focusing on objects and people takes effort. This is why babies sometimes even squint a little in their first weeks. However, this subsides once they close their eyes. 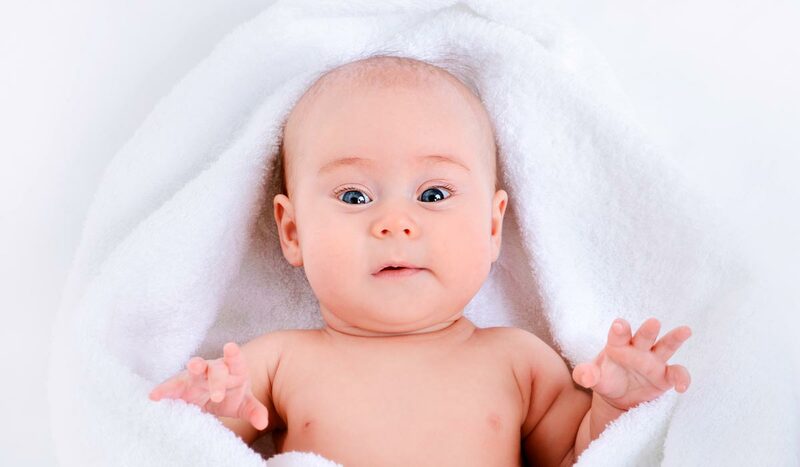 For new-born babies, the most attractive image is the human face. They react in particular to their mothers’ faces and to the pattern of eyes, nose and mouth. Scientific studies have shown that new-born babies fix their attention longest on smilies and circular patterns with two eye points. When you take your baby in your arms, they can study your face at leisure. The background is out of focus, which is also a good thing because at this stage your baby cannot yet process too many impressions. Source: taken from an animation made by the British Clinic Compare eye clinic portal. 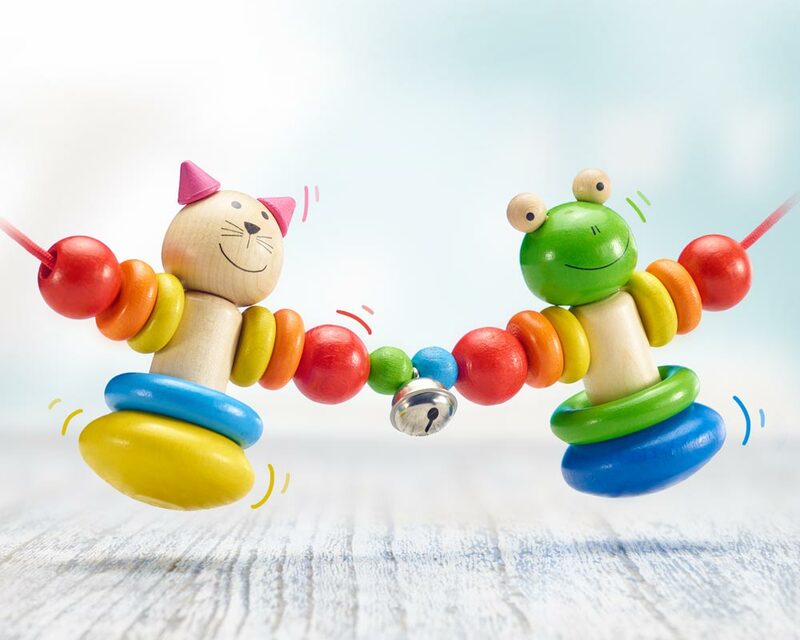 Toys with strong contrasts are recommended as the most appropriate during the first weeks. 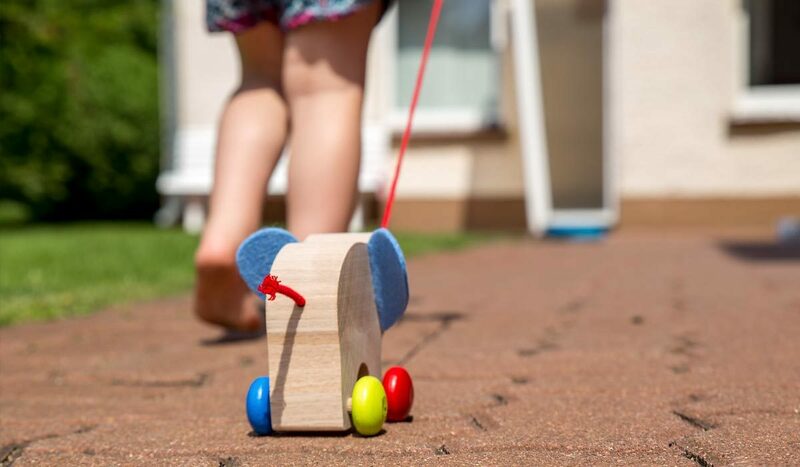 Furthermore, anything that moves or which makes a noise when it is poked, such as a mobile or a pram chain, is of interest. These help to strengthen and train your baby’s senses of sight and hearing. What can a baby see at 4 weeks old? 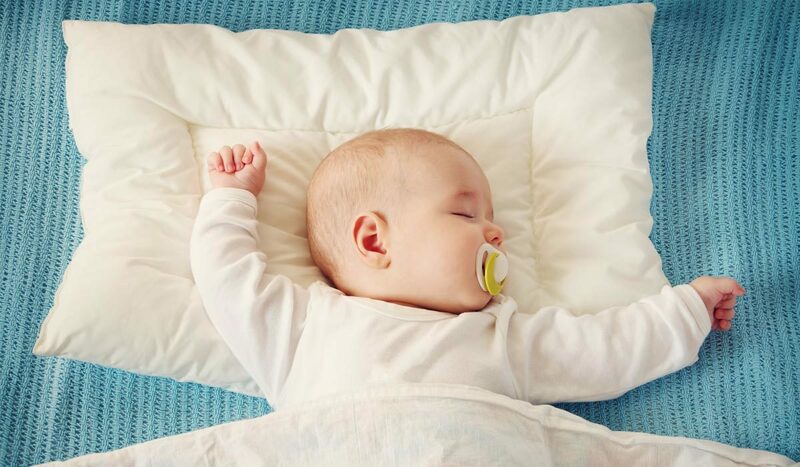 After around a month, babies can already follow objects and people with their eyes. What can a baby see after 8 weeks? From the second month, strong contrasts in colour, particularly between the primary colours of red, green and blue, also attract their attention. A little later they start to recognise shades of colour, as long as there is a reasonably high contrast. Do babies have to learn to play? 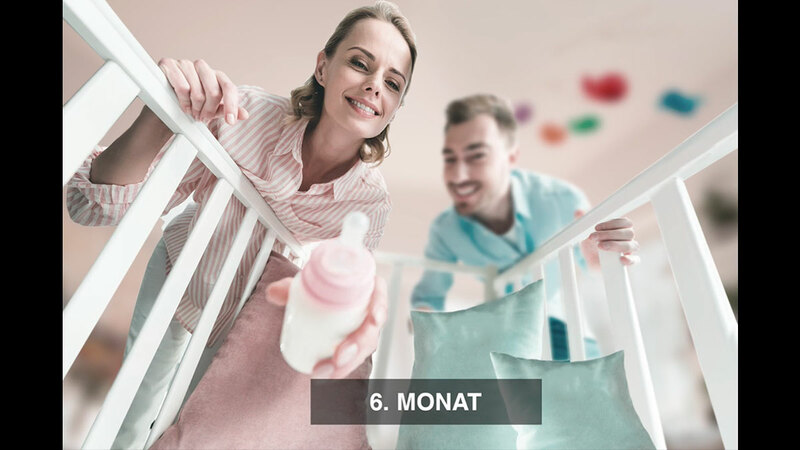 Dieser Beitrag wurde unter Advice, Tips for babies 0 to 6 months abgelegt und mit after birth, at 4 weeks, what can a baby see, what does a baby see, with 4 weeks verschlagwortet am 25. Juli 2018 von Siegbert Mattheis.